To make the candied pecans: mix the egg white and water until slightly frothy. Add pecans. In separate bowl, combine sugar, salt, and cayenne pepper. Mix sugar mixture into the nut mixture, and toss to coat. Using a single layer, add pecans to cookie sheet. Bake at 250 for an hour, tossing after each 15-minute increment. Remove cheese mixture and form into 1-inch balls. 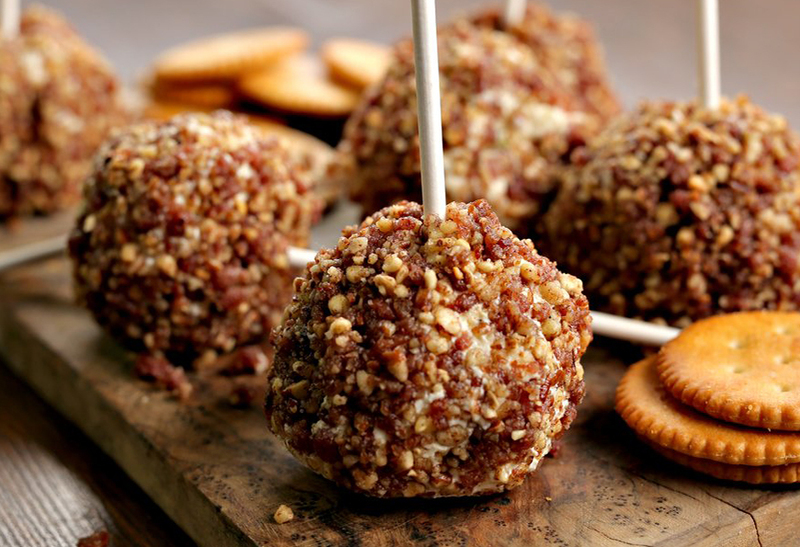 Roll balls into the pecan mixture to coat the cheese pop. Carefully insert the lollipop into the cheese pop, and refrigerate at least an hour before serving.